Maybe I just wanted to get through Year 12, coaching, and soccer with no distractions. Maybe life had other plans. Maybe I shouldn’t be drawn to Cole; the new guy who gets into fights and smokes. Maybe I should want to date Jaime; the nice, steady guy who’s always been there. Maybe you can’t help who you fall for, whether they’re good for you or not. Maybe it shouldn’t matter as long as you’re happy. Maybe each new bruise on Cole’s face is a reason to walk away. Maybe there’s more to the secrets he hides and that’s a reason to be there for him. Maybe a lifetime of pain can’t be washed away by anyone else but you. Maybe finally proving that someone else isn’t going to walk away is enough. Or, maybe it’s time I got out of my own head and stopped wondering. Maybe it’s time I just live by my own rules and find out the answers to all those maybes. It’s time for no more maybes. A sweet YA romance about first love and learning to understand different experiences, this is Cole’s story from Aurora’s point of view. The companion novel, Gray’s Blade, is from Cole’s point of view; much like the characters themselves, Cole’s version is darker, dirtier, and rougher. 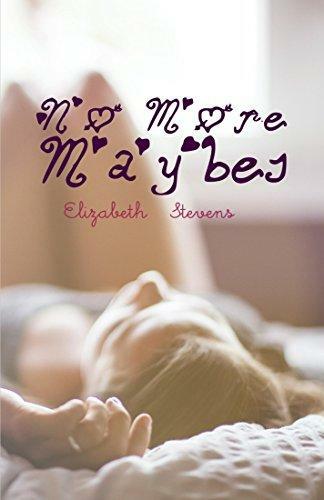 Read through to the end of No More Maybes for a sneak peek at chapter one of Cole’s side.